My customer pointed this out to me at one of their locations. I love this. 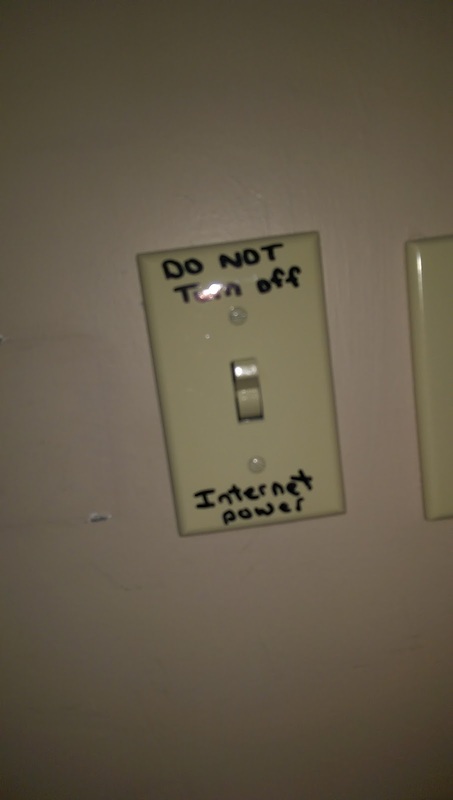 Who knew you could shut down the entire Internet with just one switch?? Please don't ever publicize the address of this switch...I'm sure China would want to know!! Yeah, it was behind a locked door at least!